April and May are wonderful months for nature lovers where I live. One of the joys of the season is the beautiful patches of bluebells that appear in my neighbourhood. I live in a suburb, but natural and semi-natural areas are located near and around the residences. These areas are valued by many people. The vivid and cheerful sight of both wild and garden bluebells is a lovely reminder that summer is approaching. I live in the Greater Vancouver area of British Columbia. Many of the bluebells that I see in the wild are introduced and naturalized plants, though some are probably recent garden escapees. Some people have concerns about the plants. Concerns about bluebells also exist in Britain, where I used to live. The worries there are a little different from those in Greater Vancouver. The bluebells in question in both British Columbia and Britain are of three types: the English bluebell (Hyacinthoides non-scripta), the Spanish bluebell (Hyacinthoides hispanica), and hybrids between the two species. The concerns about the plants are worth considering, even as the flowers are admired. Flowering plants are divided into two major groups—monocots and dicots. Bluebells are monocots. They belong to the family Asparagaceae and the subfamily Scilloideae. Hyacinths and grape hyacinths also belong to the subfamily. The derivation of the name Hyacinthoides non-scripta is interesting. The genus name—Hyacinthoides—means "like a hyacinth". The species name means "unlettered". The names were assigned by Carl Linnaeus, the Swedish botanist who created the modern binomial system for naming organisms. The names were derived from an Ancient Greek legend. Hyacinthus was a handsome young man who attracted the attention of the god Apollo. One day while teaching Hyacinthus how to throw the discus, Apollo accidentally hit Hyacinthus on the head, killing him. A hyacinth flower appeared where the blood of Hyacinthus hit the ground. Apollo's tears fell onto the flower, spelling out AIAI on the petals. The word meant "Alas". 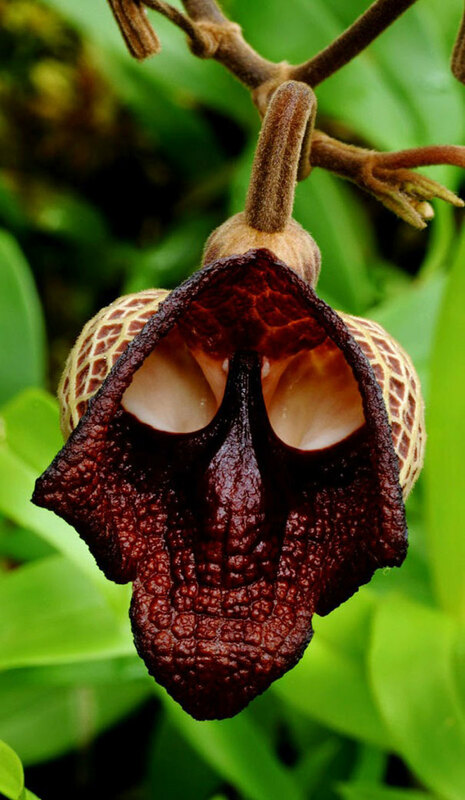 A real flower with markings resembling AIAI is unknown, though there have been guesses about its identity. Linnaeus thought that the flower in the legend couldn't have been a bluebell, however, and therefore gave the plant the species name non-scripta. English bluebells often grow where ancient deciduous woodlands exist or where they once existed. The plants produce leaves and flowers early in the year before the tree canopy is dense and while sunlight can reach them. Bluebells grow from a bulb. Like most other monocots, they have long and narrow leaves with parallel veins and a pointed tip. Each leaf and flower stem emerges separately from the ground. 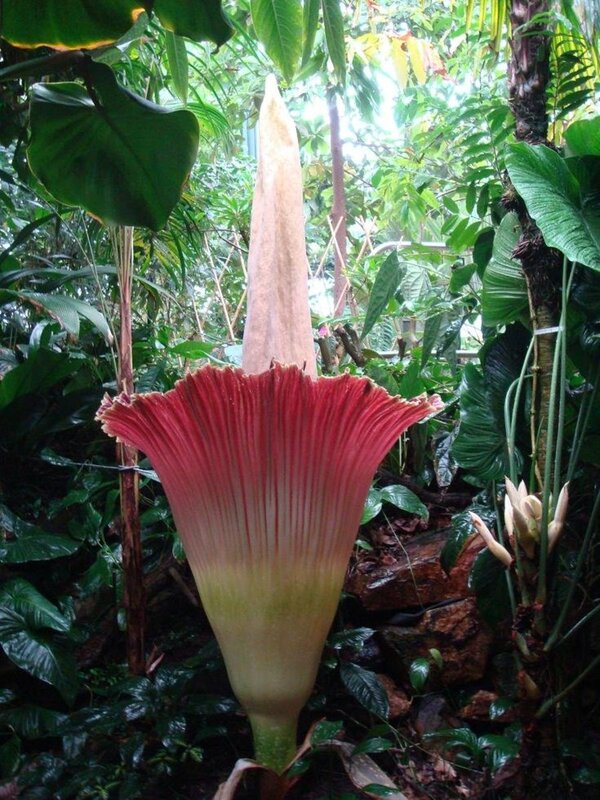 The tubular or bell-shaped flowers are usually blue or violet blue in colour but are sometimes pink or white. The tips of the flower petals are strongly recurved (curved upwards). Bluebell flowers are borne in a raceme. A raceme is a group of flowers sequentially attached to the same flower stem via a short stalk, or pedicel. The flowers at the bottom of the raceme open first. English bluebell flowers generally hang from one side of the raceme, which is arched. A long and slender bract is located where a flower joins a pedicel. The flowers have an attractive fragrance. One of the joys of visiting an English wood carpeted by blooming bluebells is the detection of this fragrance. The flowers are pollinated by insects. The fruits of the plants are papery capsules that contain three lobes, each containing a seed. The capsules are green when unripe and light brown when ripe. The seeds are black. The colour of bluebell flowers is best appreciated in real life. Though they are blue, as their name implies, they often have hints of violet or purple as well. It's hard for some cameras to capture the shade of blue accurately, especially in certain lighting conditions. The roots of English bluebells are associated with mycorrhizal fungi. The body of a fungus consists of thread-like structures called hyphae. Hyphae of a soil fungus enter the roots of a bluebell plant and absorb some of the food that the plant makes. The fungus doesn't kill its host, however. In fact, it helps the plant. 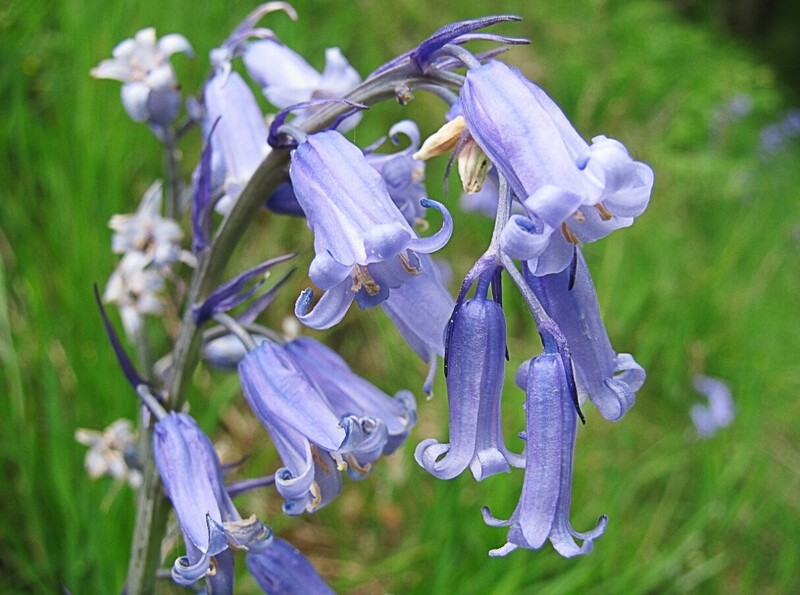 It absorbs nutrients from the soil and sends them into the bluebell's roots, enabling the plant to use them. The fungal threads increase the surface area of the roots, which in turn increases nutrient absorption. The symbiotic relationship between the fungus and the bluebell is beneficial for both organisms and is referred to as mutualism. The association between the plant roots and the fungus is referred to as a mycorrhiza. English and Spanish bluebells (and presumably the hybrids) are poisonous. They contain chemicals called glycosides, which are toxic for humans, dogs, horses, and cows. All parts of the plant are toxic. 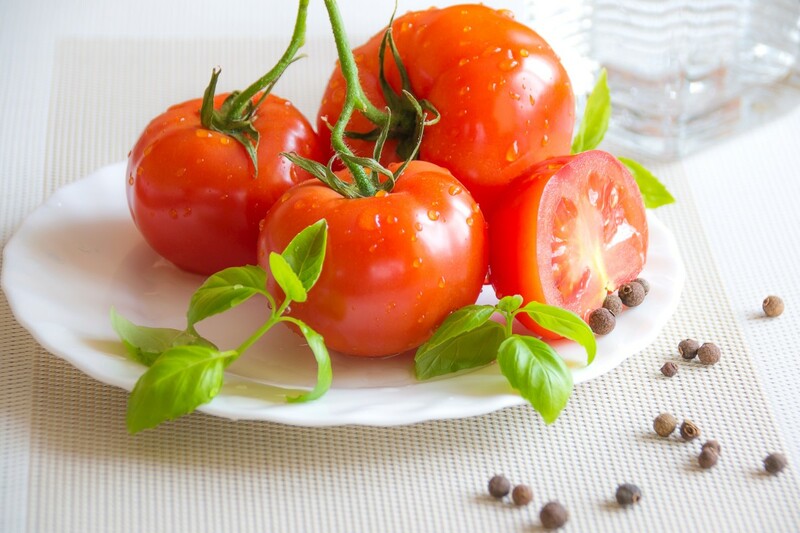 Eating any part of the plant can trigger nausea, vomiting, diarrhea, and a decrease in the heart rate. Additional problems may be lowered blood pressure and a problem with the heart rhythm. Some people experience dermatitis after touching the plant. Despite the risks, which should be taken seriously, the reported incidence of bluebell poisoning is low. The bulb of English and Spanish bluebells has contractile roots. These pull the bulb deeper into the soil over time, protecting it and making it hard to remove. 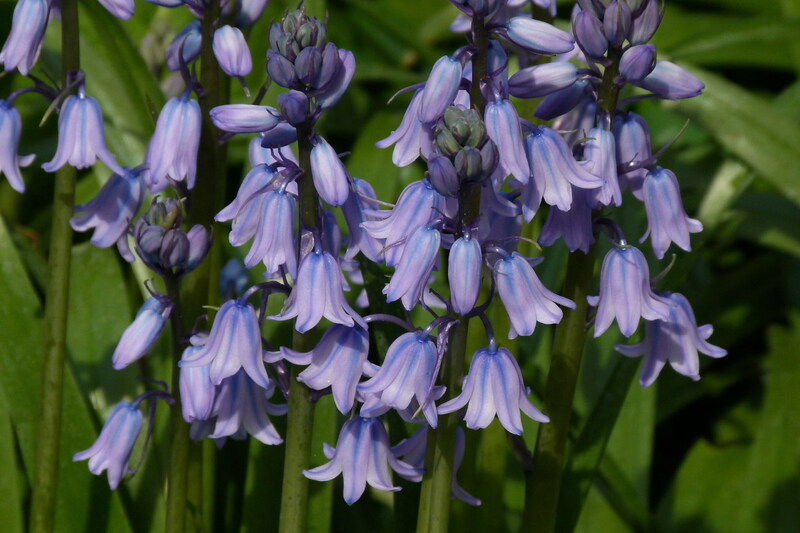 The Spanish bluebell has many similarities to the English species but also some differences. The flowering stem of the Spanish species is more upright and is often straight. Flowers are found on both sides of the stem instead of on only one. The flowers are more open and less tubular than English bluebell flowers. Anthers are blue at first and fade to green later. The flowers lack the fragrance of English bluebells. The blue colour of the flowers is generally less intense. Flowering stems of the Spanish bluebell are generally taller. The leaves tend to be wider and thicker. English bluebells prefer a semi-shaded environment while Spanish ones do well in a variety of habitats, including sunlit areas. Though English and Spanish bluebells are placed in different species, they are closely related and easily hybridize. 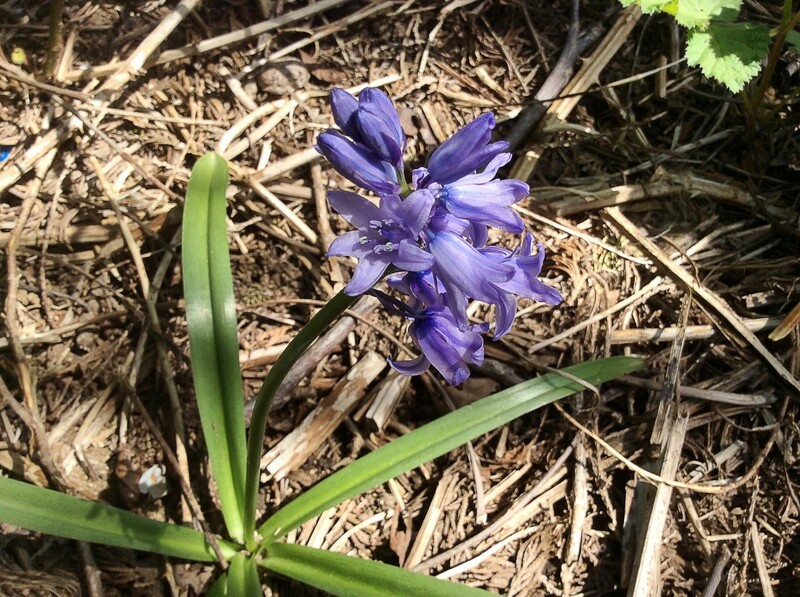 It may be quite easy to distinguish a non-hybridized Spanish bluebell from a non-hybridized English one. It may be harder to identify whether a hybrid is the Spanish or the English species, however. Another factor besides hybridization may make identification difficult. A flowering stem of an English or a Spanish bluebell may have variations from the typical features of its species when it's very young or when it's old. In these situations, an item in a checklist of identification features may not be accurate. It's no wonder that the generic name "bluebell" is often used for the three forms of the plant discussed in this article. Most bluebells that I see outside of gardens have cream anthers. Some have blue or green ones, suggesting that they are Spanish bluebells or at least very similar to them. The ones with cream anthers are very likely hybrids instead of English bluebells. Most lack the arched flower stems of English bluebells or the flowers hanging on one side of the stem. The bells of the mature flowers are often quite short and open, like those of Spanish bluebells, and sometimes face upwards instead of downwards, even in mid life. 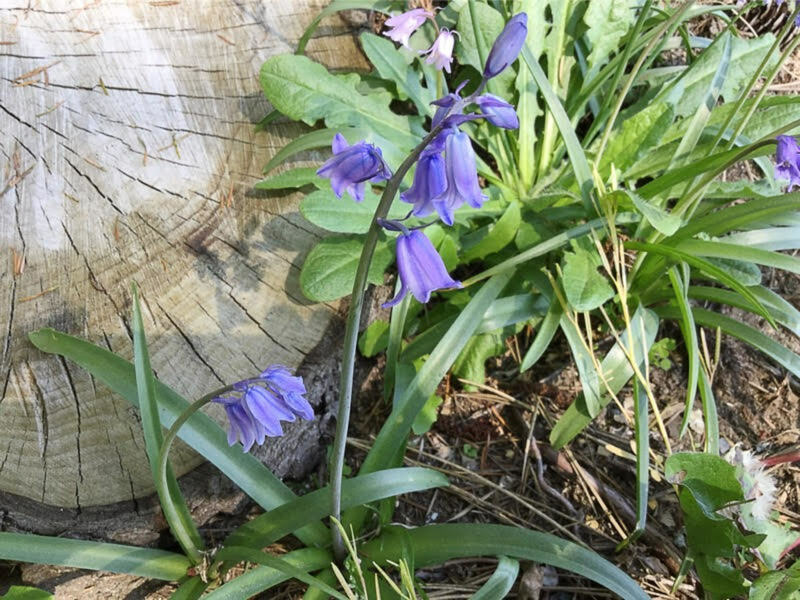 Though English bluebells have escaped from gardens in southwestern British Columbia, in the Vancouver area the Spanish ones and the hybrids are more likely to do well and spread when they are outside a garden. English bluebells are more delicate than the sturdy and vigorous Spanish ones. Like Japanese knotweed, bluebells are sometimes considered to be an invasive species where I live. There may be nothing inherently bad about a specific invasive plant. When it's outside of its native habitat it may grow or spread rapidly and cause environmental or economic problems, however. 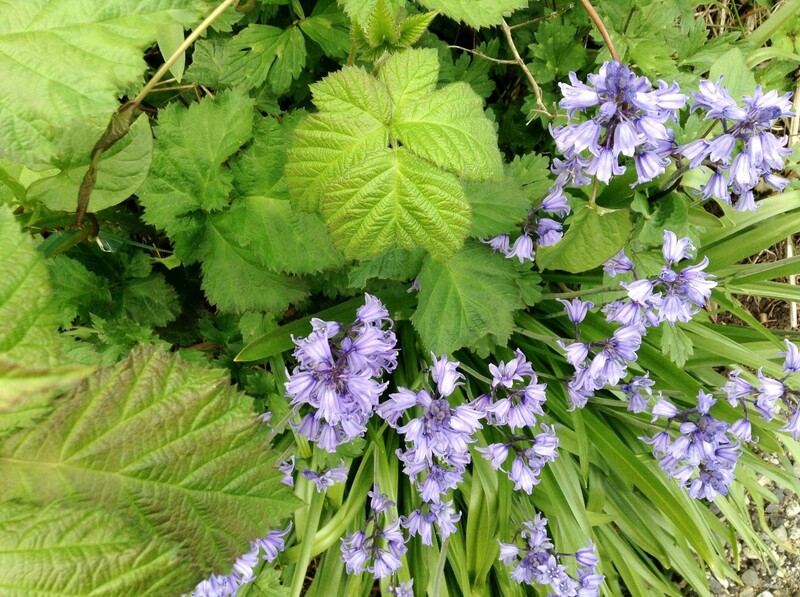 There seems to be a continuum of characteristics between an English bluebell and a Spanish one. Some investigators have raised the problem of classification. Do we say that only a plant with all the characteristics in a checklist should be classified as an English or a Spanish bluebell? What about a plant with only minor differences from those in a checklist? Should it be given the honour of a distinct common or scientific name or should it be relegated to the hybrid category? What do we do when hybrids cross with other hybrids? Is there a point at which a hybrid should no longer be classified as a bluebell? Taxonomy (biological classification) can be an interesting topic and can tell us about evolutionary relationships between organisms. For many of us, however, the most important point about a bluebell is its beauty or in some cases its invasiveness and not its specific name. Knowing the main differences between the two species may be important when visiting a plant nursery to purchase plants or seeds. Based on what I've read, though, some nurseries don't classify the plants correctly. The Spanish bluebell was imported into Britain in the late seventeenth century as an ornamental plant. Though the plants are the same, the concerns about the English and Spanish bluebells and their hybrids are different in Britain and British Columbia. In Britain, the fear is that the native bluebell will be wiped out by the Spanish form and by the hybrids produced by crosses between the English and Spanish species. The destruction of ancient forests is also harming the wild plants. One third to a half the of the world's English bluebell population is found in Britain. It's said that no other country experiences the woodland carpets of the flowers seen in Britain. The bluebell is a protected plant in the UK. It's illegal to dig up a bulb. Losing the fragrance and graceful beauty of English bluebells would be sad. Reduced biodiversity and genetic diversity would also be a problem if the bluebells became extinct or if the entire population became genetically altered due to hybridization. When a species disappears, some of its gene variants may be lost. These variants may be useful to other organisms, including us. A particular species may produce a chemical that successfully treats a human disease, for example, or that makes a particular nutrient that supports the life of a helpful insect. If the species becomes extinct and the gene variant that codes for the helpful substance is lost, we may never discover or benefit from the substance. 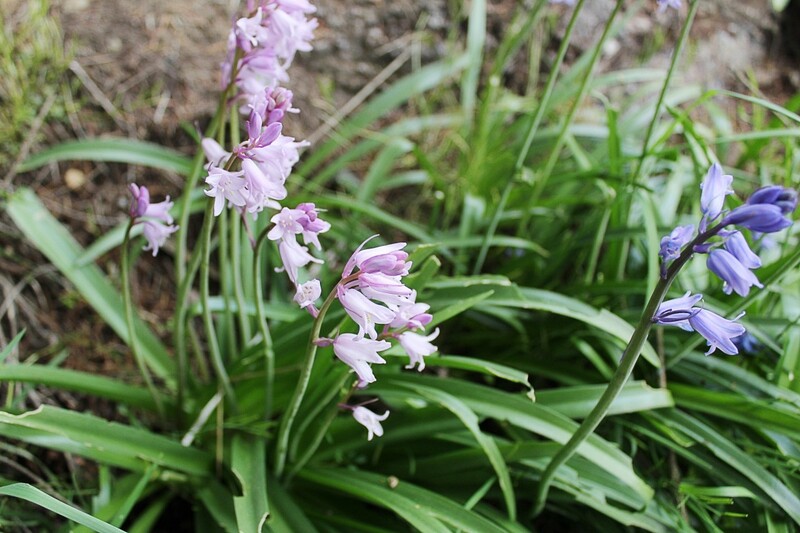 In the Greater Vancouver area, both English and Spanish bluebells are sold in plant nurseries. 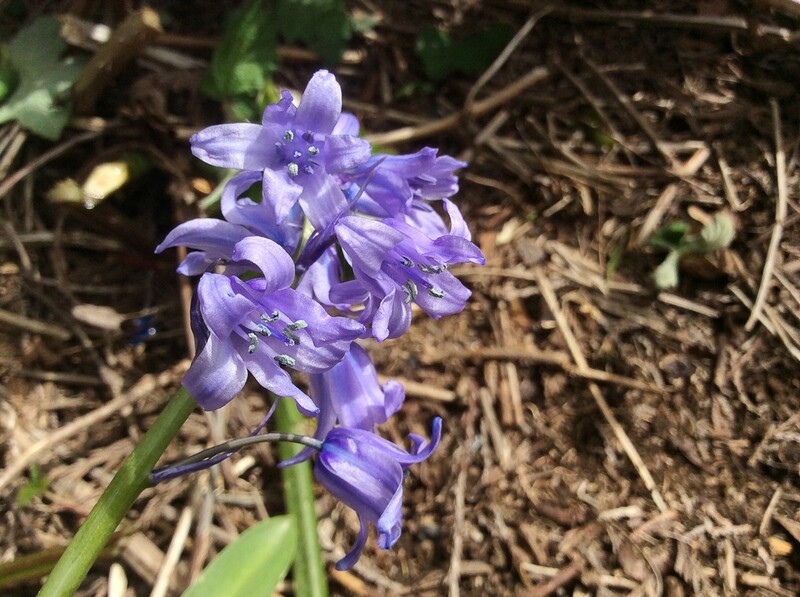 The most common bluebells growing both inside and outside gardens are the Spanish bluebell and hybrids between the English and Spanish species, however. The invasiveness of the latter plants annoys some people. 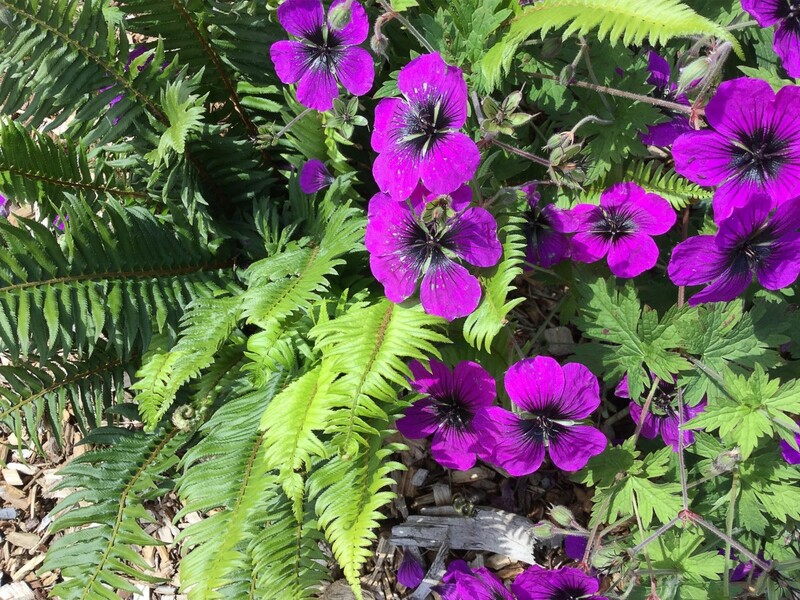 The plants multiply quickly and spread. Their leaves flatten and spread out as they mature, sometimes smothering other plants. Some people report that bluebells "take over" a garden, though I do see small and tidy clumps on people's property. I don't know much work is required to limit their growth. I expect I'll find out. A single uninvited plant is growing in my garden. I'm leaving it alone at the moment and watching how it behaves. It appears to be a hybrid and has a faint but pleasant scent. According to the Electronic Atlas of the Flora of British Columbia published by UBC (University of British Columbia), the Spanish bluebell is classified as exotic and naturalized, not invasive. 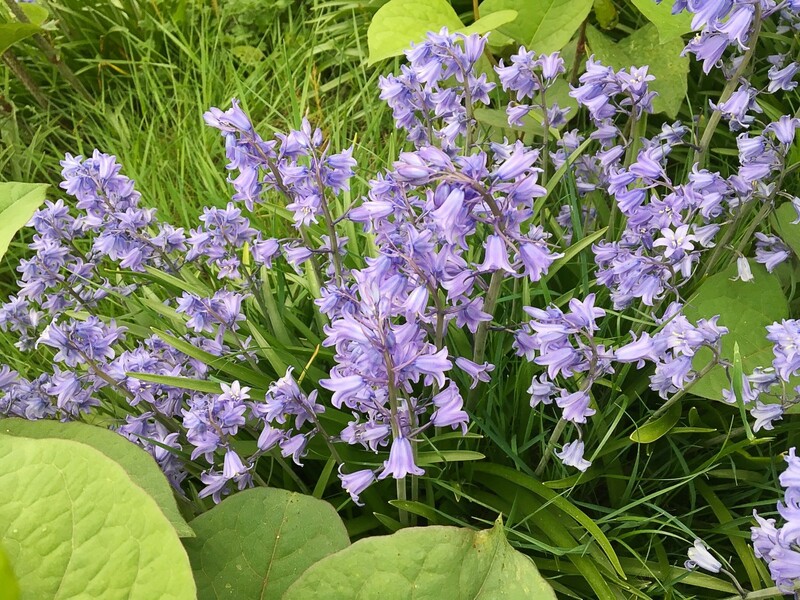 On the other hand, the District of Saanich on the southern part of Vancouver Island lists both the English and the Spanish bluebell in the Control category of its invasive plants list. This is the least serious category. 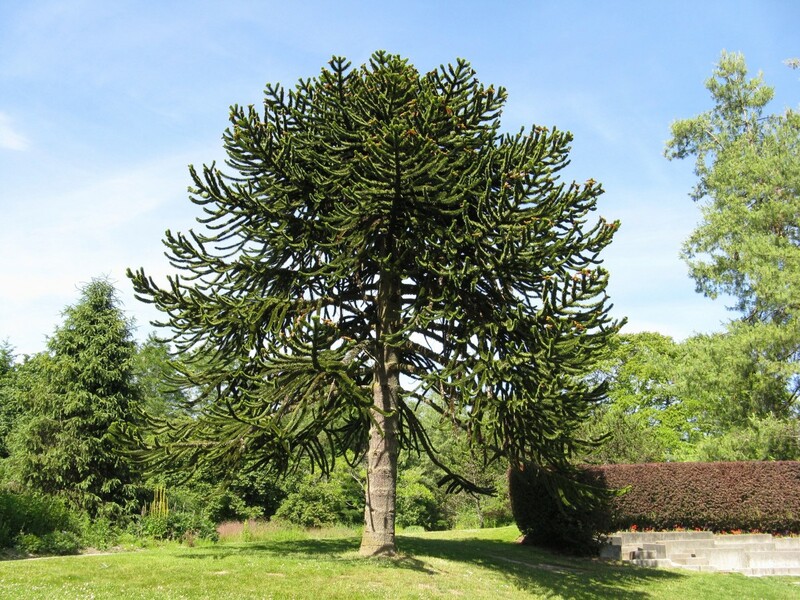 Plants in the category are said to have created widespread "infestations", but control is advocated only for conservation areas of high value. Some people say that English bluebells can become invasive in the Greater Vancouver area. I wonder how many of these observations are due to mistaken identity, however. I've seen reports about problematic English bluebells illustrated with photos of Spanish bluebells or of hybrids that resemble them. Although bluebells may cause problems, I love to observe their flowers. I look forward to seeing them each year. I have noticed that the patches in my favourite viewing areas are getting bigger each year, however, and that new clumps and patches are appearing beside a nearby walking trail. It will be interesting to see what the future holds for the plants in both British Columbia and Britain. 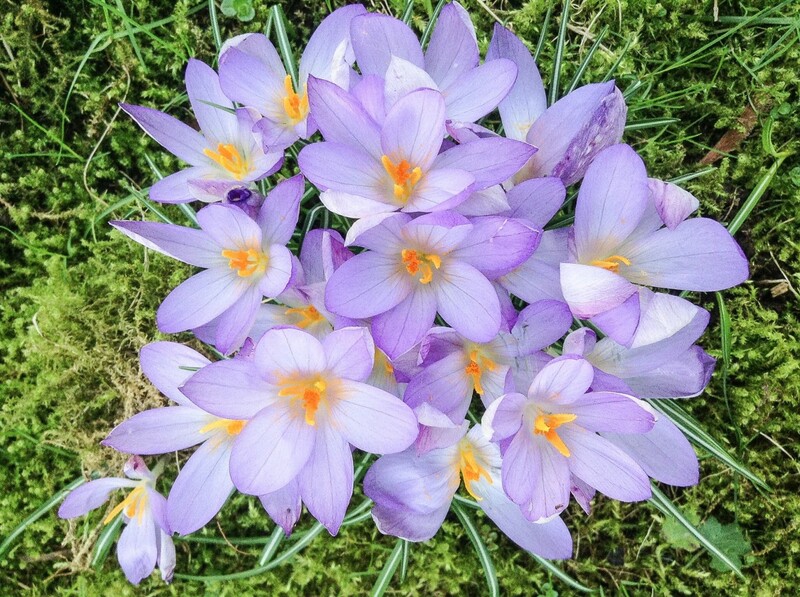 Will rodents eat bluebell bulbs? 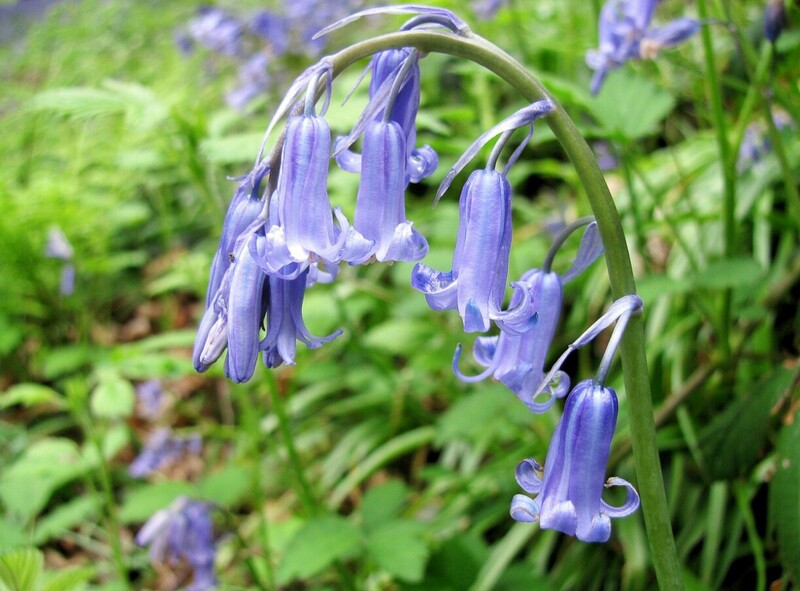 What are the functions and adaptations of an English bluebell? A complete answer for this question would be very long. In addition, there are almost certainly new things for biologists to learn about the plant. 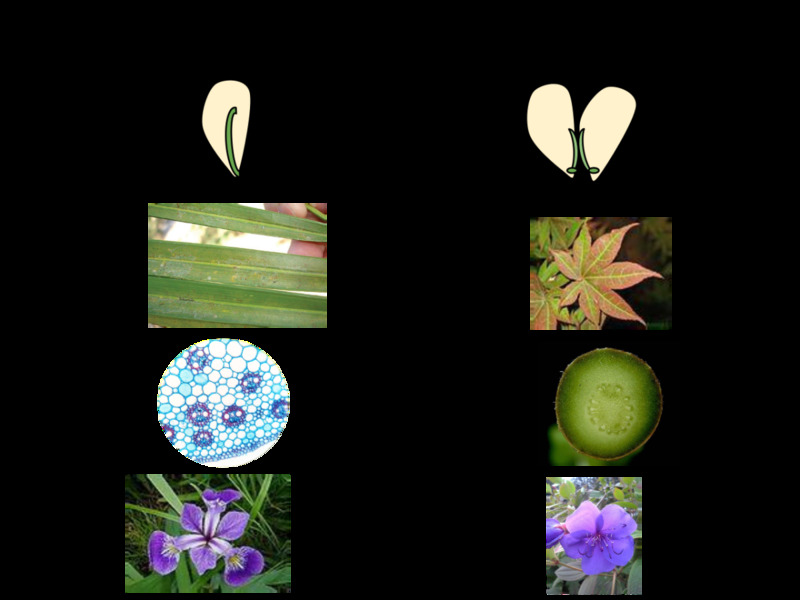 Here are a few points related to the functions and/or adaptations of the English bluebell plant. The flowers provide nectar for bees, butterflies, and hoverflies. The sugary liquid attracts the insects, which transfer pollen between flowers. 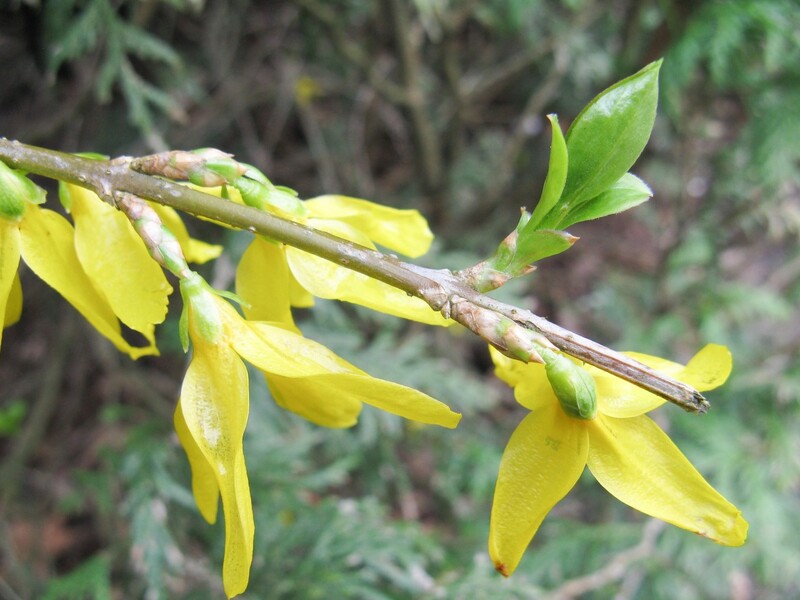 The colour and scent of the flower provide enjoyment for people exploring nature and for gardeners. They also help to attract pollinators. The area where the flowers grow in nature often indicates the location of an ancient woodland. The sap of the plant is sticky and is said to have once been used as a glue. Thank you, Dianna. Bluebells don't have any generally accepted health benefits at the moment and are actually poisonous. Like other plants, though, they contain many different chemicals. We may eventually discover that one or more of them are useful for our health. Very lovely article with all the pretty colors of bluebells. I didn't realize they could be used for medicine. Thank you very much, Heidi. I appreciate your comment about the photos. Even though these are toxic, they are lovely! Love YOUR pictures that you featured. Thank you for the visit and the comment, Dora. I hope you have an enjoyable weekend. Interesting Hyacinthus story! Thanks for explaining the anatomy of flowers and the differences between the species. The photos are beautiful and remind me of the Texas bluebonnet. Thanks for the visit, Gregory. I appreciate your comment. Linda, thank you for a detailed explanation of English and Spanish bluebells. Since I know absolutely nothing about flowers, your article is an appropriate introduction to the topic. 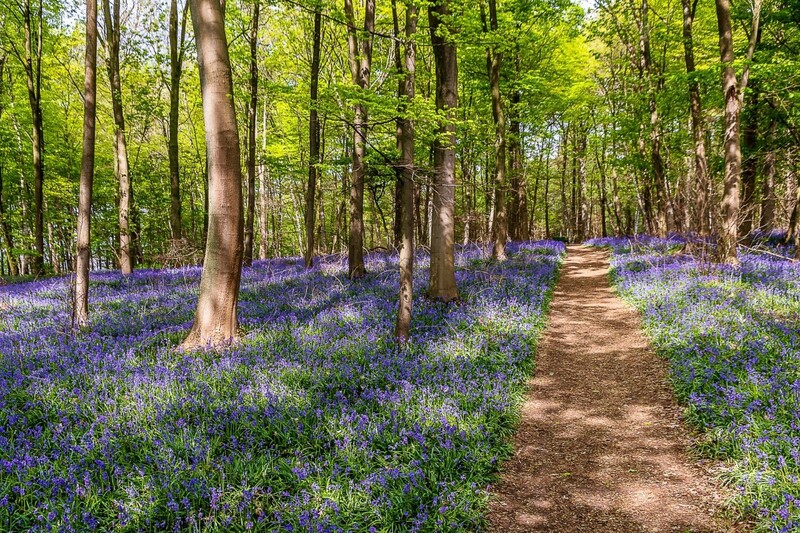 The photo of the English bluebell at the beginning of your article is awesome indeed. Thanks for the comment, Devika. The flowers are in my neighbourhood, not my garden (except for the one I mentioned), but I see the plants almost every day. They do look beautiful, as you say. Bluebells look beautiful! I have planted different flowers this season and looks a while yet to be seen. Thanks for sharing your lovely garden. Hi, Robie. The bluebells in Ohio sound beautiful. We have other bluebells in British Columbia besides the ones I've mentioned. They are also lovely. Bluebells are one of my favourite flowers too, Manatita. Thanks for the comment. Lovely flowers, I had not seen a field of bluebell until a couple of springs ago, here in Ohio they are very common I found out, and they are gorgeous. I enjoyed this Hub more not that they are not all immaculately addressed, but because you are speaking of some of my favourite flowers. Good to know the Apollo story. Sad but cute. Thanks for the visit, Peggy. I would definitely notice a field of bluebells, too. The sight would be very impressive. I have not noticed bluebells growing down here in the Houston area. I would certainly notice fields of them! The photos are lovely. It is too bad that some are considered invasive. That is an interesting fact about the contractile roots drawing the plant further into the ground over time. Thanks, Larry. It certainly is a wonderful time of year for people who love flowers. Hi, Rachel. Blooming bluebells in a field next to your house would be a wonderful sight! I see bluebells on my road and in my neighbourhood, but I don't see a patch as big as a field. Thank you very much for the comment. Blessings to you, too. Hi Linda, What a beautiful article. I love Bluebells. It's hard to believe just looking at them that they are poisonous. I have a field next to my house that I wouldn't mind if the Bluebells took over. I don't have any animals that would be harmed if they did. Thank you for all the information and such lovely picture. Wonderful time of year for flower lovers. Hi, Bill. A field of bluebells is a wonderful sight. Nature can be very beautiful. Thanks for the visit, Sharon. Yes, Spanish bluebells and the hybrids do very well on their own where I live. They do sometimes seem indestructible! Hi, Glimmer. Bluebells of all types are beautiful. I'd love to see the ones in your area! Hi, Bede. Thank you for the comment. Though I've mentioned symbiosis before, I haven't written an article about it. Very interesting as always! I love to look out over a field of bluebells....absolutely gorgeous! Bluebells are one of my favorite flowers, but I've always grown the Campanula sp.--or tried. I seem to have little success with the ones I like best. Sounds like I need to try these Hyacinthoides sp. They sound indestructible! Absolutely lovely. Our Virginia Bluebells are blooming now and the color is incredible. Thanks Linda for another interesting article. 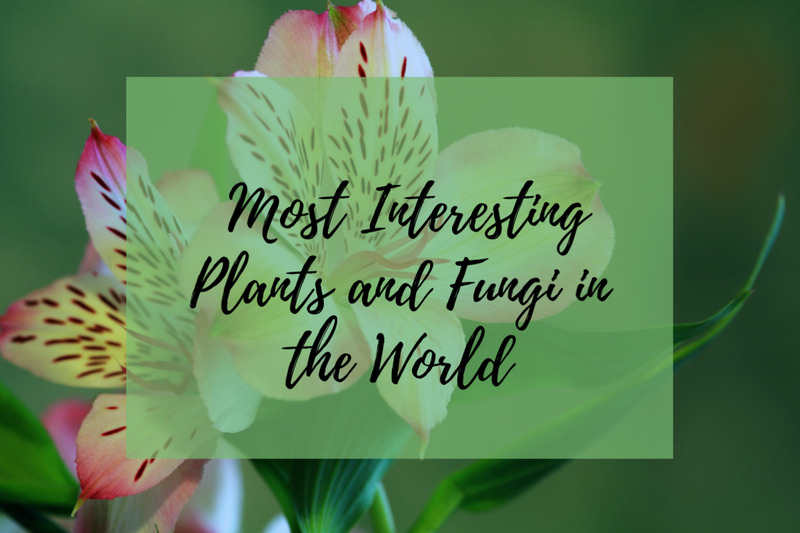 I learned new things, such as the differences between monocot and dicot, and the benefits of the fungus for the plant. Have you written an article on symbiosis in nature? It’s a fascinating phenomenon in nature. That's an interesting idea, Flourish. I've never heard of it being done, but it may be. So I guess some people think they are the kudzu of the flower world, but they sure are lovely and the fact that they smell nice is a bonus. I wonder if gardeners try to use them to warn off unwanted animals knowing how. toxic or unpleasant they are to som critters?